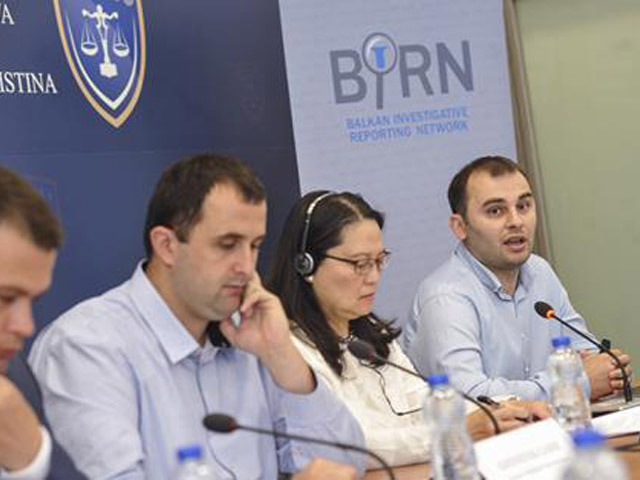 BIRN Kosovo held a roundtable discussion on June 26 entitled ‘Moving forward with the package of laws on inheritance, addressing gender issues’. The roundtable at the Palace of Justice in Pristina was intended to look again at suggestions made by civil society organisations about amendments to the laws on inheritance in Kosovo, which are seen as unfavourable to women. Key speakers at the discussion included Lisa Magno, Acting Mission Director at USAID, MP Korab Sejdiu and Altin Ademi, advisor and chief of office to the Minister of Justice. “USAID offers its full support on debate, discussion and passion about this issue,” said Magno. She said it was very important that the package of laws should be moved forward. “Without action, there will be no change,” she added. MP Sejdiu affirmed that he and his colleagues stood ready to help and cooperate in order to improve the current situation of women in terms of inheritance, emphasising that the main issue is Kosovo society’s mentality about women’s roles. “If, since they were in the womb, women have been at a disadvantage to men, this disadvantage will continue to follow them,” he said. After remarks from the key speakers, the floor was opened up to a series of panellists – Nehat Idrizi, president of Kosovo Judicial Council, Enver Peci, president of the Supreme Court, Brian Kemple of the USAID Property Rights Programme, Hasan Shala, president of the Court of Appeals, Aferdita Bytyqi, president of the Basic Court in Pristina and Isa Kelmendi, a judge at the Supreme Court. Addressing the issue of delayed inheritance, Kemple called for more activism and solidarity in society to help women by working on the recognition and implementation of their rights to inheritance. Bytyqi called for the issue from men to be taken more seriously by men in Kosovo society. “I call on those men who have an impact [on society], to seriously fight for this matter,” she said. After the panel, the roundtable continued with an open discussion including prosecutors, lawyers, judges, parliament members, ministries, and civil society representatives. The event ended with a request from MP Sejdiu to send any concrete suggestions about laws on inheritance to him, promising to try to push them forward together with his colleagues. The moderators of the roundtable discussion, Kreshnik Gashi, editor and director of the TV programme ‘Justice in Kosovo’, and Labinot Leposhtica from the legal office of BIRN Kosovo, responded that these suggestions have been ready for a long time already and will be sent to Sejdiu.